This dataset includes information regarding data from the Behavioral Risk Factor Surveillance System (BRFSS). All respondents to the BRFSS are non-institutionalized adults, 18 years old or older. This dataset comprises of Class and Topic Description, Survey Question, Data Value, High and Low Confidence Limits, Stratification Categories, Latitude and Longitude for Healthy Aging Data. 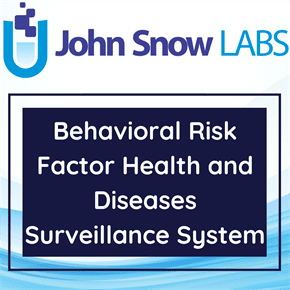 The Behavioral Risk Factor Surveillance System (BRFSS) which is also the data source for this data set, is a continuous, state-based surveillance system that collects information about modifiable risk factors for chronic diseases and other leading causes of death. This dataset is provided by Centers for Disease Control and Prevention (CDC) Division of Population Health. The Healthy Aging Data by CDC comprises of data on a range of key indicators of health and well-being, screenings and vaccinations, and mental health among older adults at the national and state levels. These indicators provide a snapshot of currently available surveillance information, and can be useful for prioritization and evaluation of public health interventions. The data value units used for this dataset are either numbers or percentages. – Enhance the ability of states and communities to identify and implement effective strategies and programs to promote and protect the health of older adults. – Enhance the integration of efforts by the public health and aging services networks to promote health and prevent disease among older adults. – Promote health and preserve health-related quality of life for older adults through the health care system and other avenues. – Developing innovative, web-based tools and resources. – Collecting, analyzing, and disseminating data to guide public health action. – Engaging in active partnerships with CDC partners, other federal agencies, the states, and key national organizations to promote and disseminate effective health promotion strategies. – Only 25% of adults aged 50 to 64 years are up to date on services. – Less than 50% of adults aged 65 years or older are up to date. These services are covered, in part or completely, by most insurance plans, including Medicare and Medicaid.